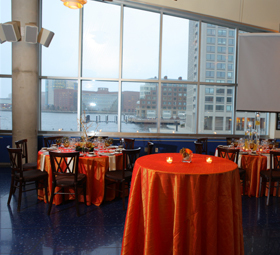 Whether you are hosting a private dinner for 30 or a corporate event for 2,000, the New England Aquarium is the perfect location. 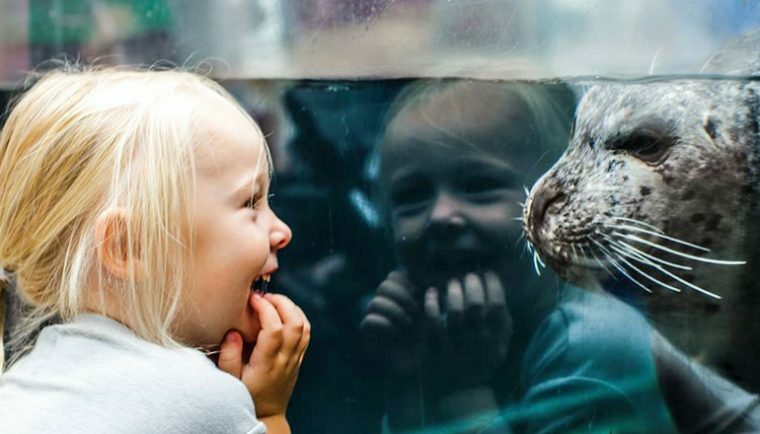 Rent the entire Aquarium or just one private room and provide your guests with an extraordinary evening full of wonder. 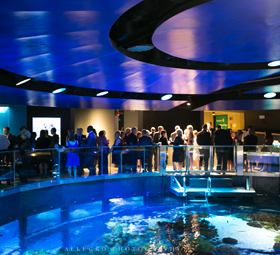 For more information about hosting an event with the New England Aquarium, contact the Events Department by calling 617-973-5205, emailing events@neaq.org, or completing our online event inquiry form. 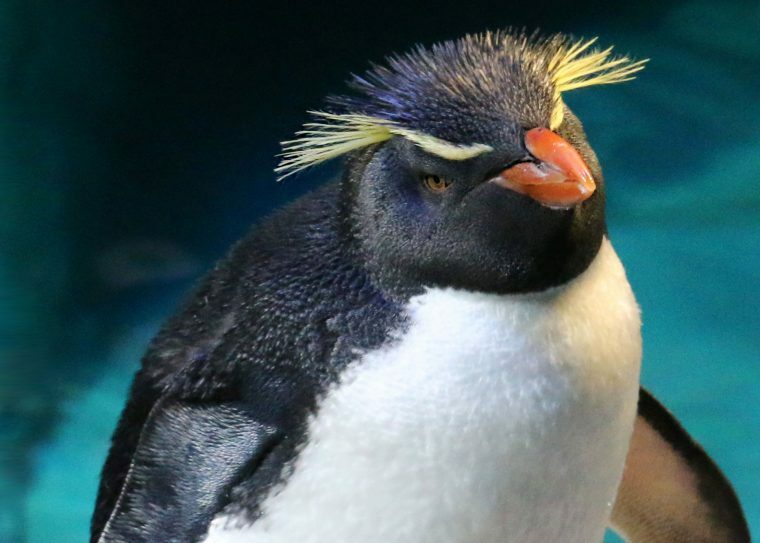 Experience the only event space in Boston where you can dine alongside more than 80 penguins. 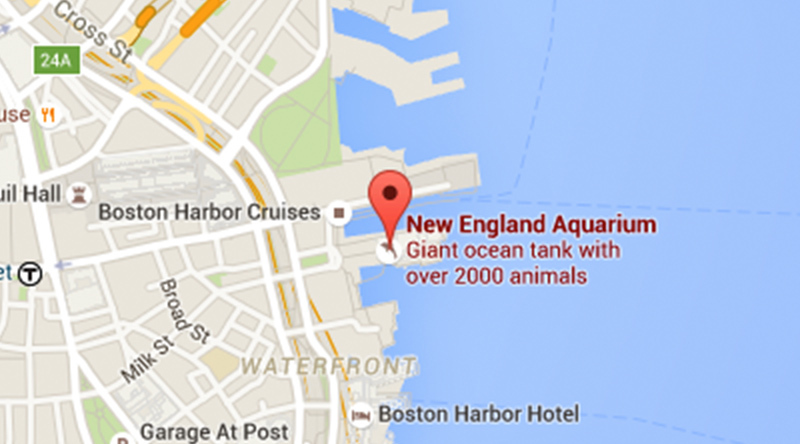 Our one-of-a-kind, 200,000-gallon Giant Ocean Tank will be the centerpiece of your event. 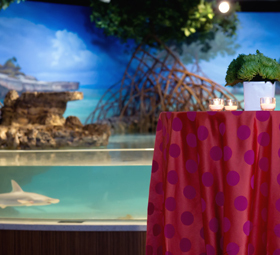 This two-level event venue featuring the largest shark and ray touch tank on the East Coast is ideal for smaller cocktail receptions and dinners. The ocean-blue tile and natural wood cathedral ceilings make the Harbor View Café the perfect setting for any occasion. The floor-to-ceiling windows offer spectacular views of Boston’s skyline and the Boston waterfront. Seated Dinner – 100, Cocktail Reception – 100, Strolling Dinner – 80 (70, seating for everyone) Please note: a dance floor in this space alters the capacity. Please inquire. 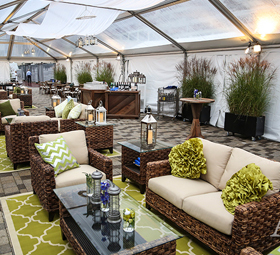 A rare, outdoor waterfront venue in Boston! 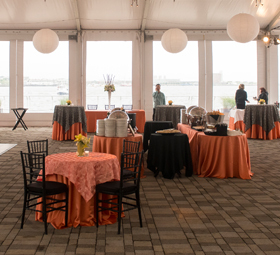 Host your event with breathtaking views of Boston’s historic harbor and the largest collection of Northern fur seals in the U.S. Seated Dinner – 300, Cocktail Reception – 355, Strolling Dinner – 280 (250, seating for everyone) Please note: a dance floor, DJ, or band in this space alters the capacity. Please inquire. Featuring state-of-the-art, audio-visual capabilities in a spacious auditorium, the Simons IMAX Theatre is ideal for corporate meetings, product launches, presentations, and receptions. 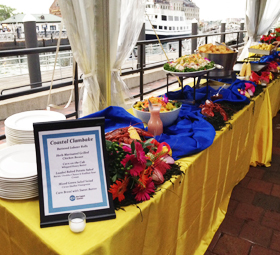 The Aquarium’s seasonal harborside restaurant is now available for corporate and private events. 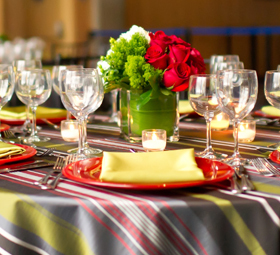 It’s the perfect setting for a summer company gathering, anniversary or birthday party, bridal or baby shower. 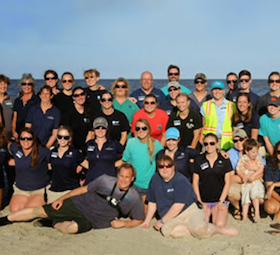 The Aquarium is able to accommodate events during the warmer months by adding additional tenting on our front plaza and south terrace. 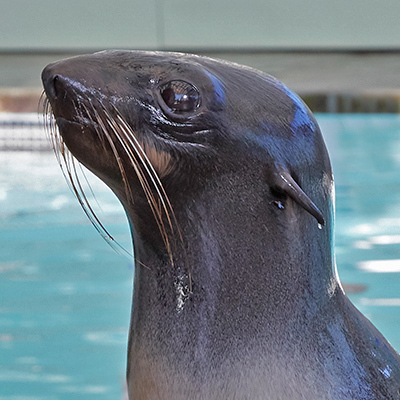 Hosting your event with us helps support the Aquarium’s nonprofit mission and gives your guests the opportunity to privately view the Aquarium.